Microsoft is planning to distribute future Windows 10 updates using a peer-to-peer (P2P) protocol. While Microsoft has traditionally uses Windows Update to deliver OS and some application updates from a single source, the latest leaked build of Windows 10 reveals that the company is moving towards P2P. 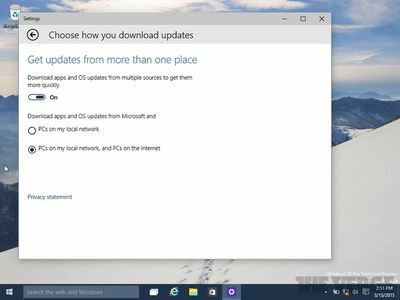 A new option allows Windows 10 users to enable "updates from more than one place," with the ability to download apps and OS updates from multiple sources to obtain them more quickly. Apps and OS updates can be downloaded from Microsoft and PCs on a local network, or a combination of local PCs, internet PCs, and Microsoft's traditional Windows Update servers. It's no surprise that Microsoft is moving towards this distribution model. The software maker acquired Pando Networks in 2013, the maker of a peer-to-peer file sharing technology that's similar to BitTorrent. It's not clear what technology Microsoft is using for its Windows 10 testing, but it's reasonable to expect it has evolved from the Pando Networks acquisition. Microsoft has not yet officially announced its P2P plans, but the company is planning to release an official Windows 10 preview shortly that will likely include the new changes. 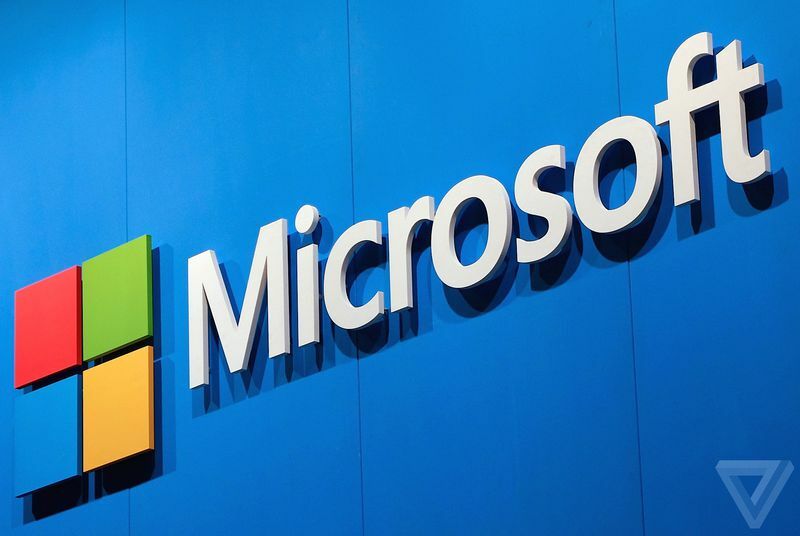 While Microsoft's changes could prompt security concerns over the validity of OS updates, it's likely that the company has built in methods to prevent tampering and a means to verify update packages before they're applied to Windows 10 systems.